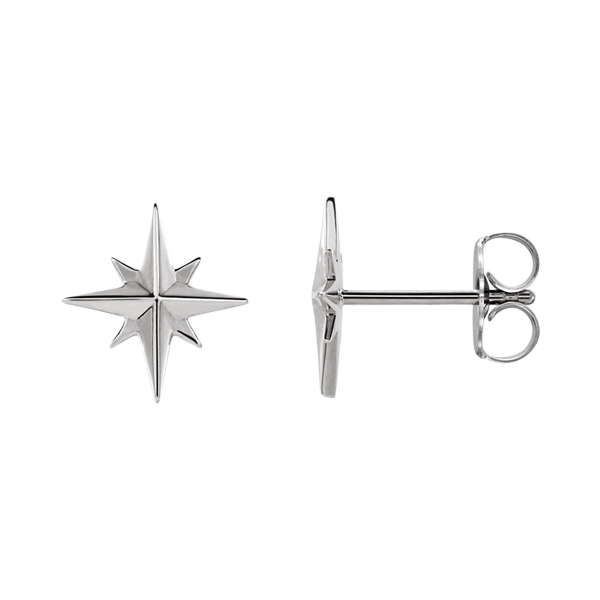 Adorable Platinum Star design earrings. This pair of earrings is dainty, measures 9.75mm in length and 9.19mm across. They are polished and include Platinum friction backs. 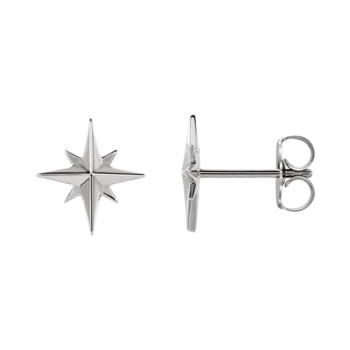 Like all our Platinum earrings the posts, backs, and of course front design are 950 Platinum.